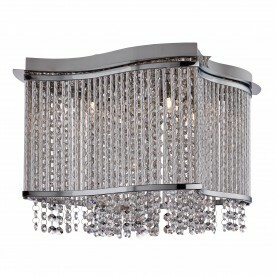 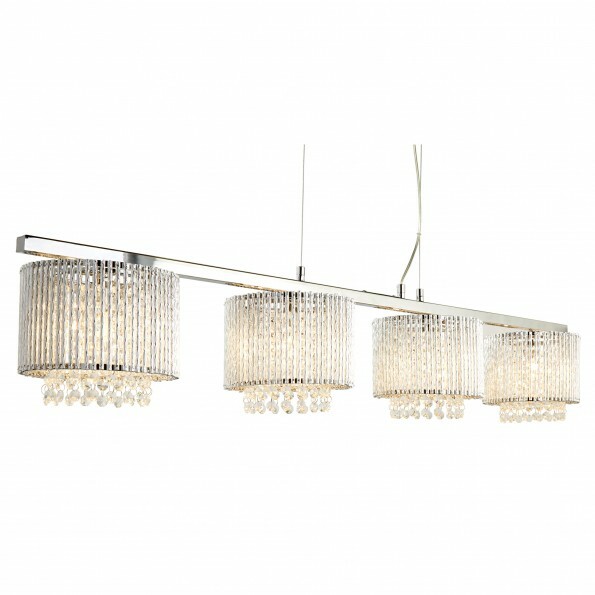 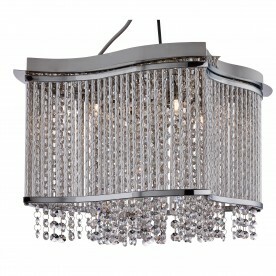 This 4 light large ceiling bar will add instant style to a contemporary dining room and is ideal when used above a table. 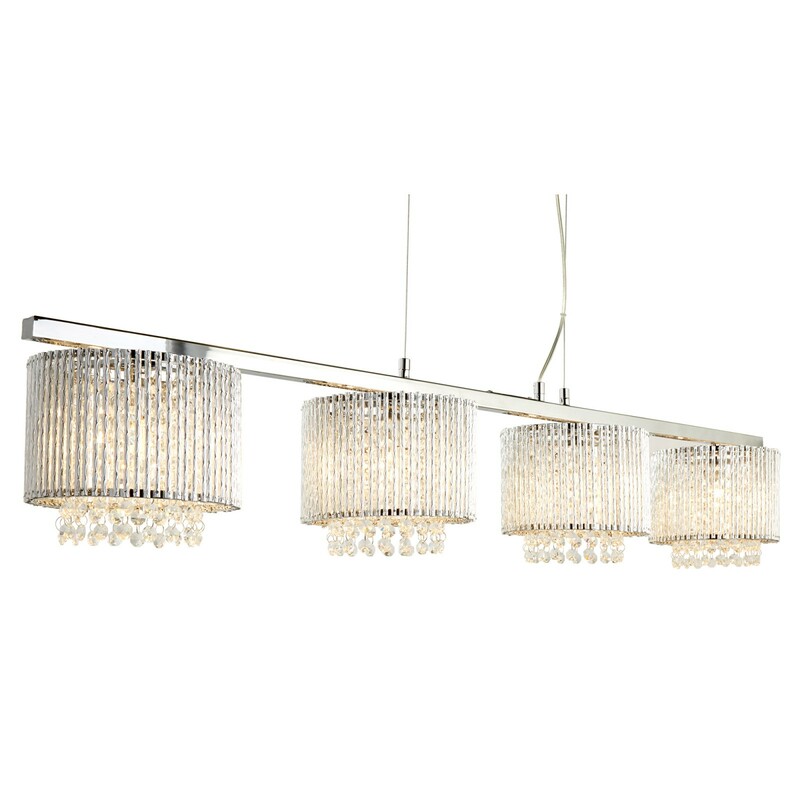 Aluminium trims surround each of the 4 lights, with an extra decorative touch of clear crystal drops complimented by the chrome finish. 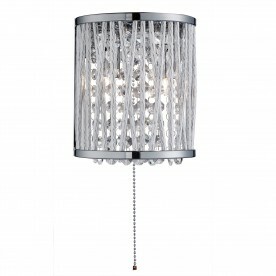 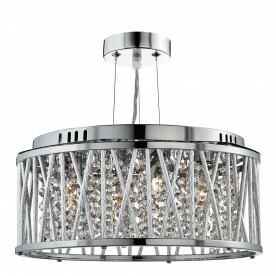 The striking item looks fantastic when lit; with the light creating a warming glow against the intricate detail.